Antonius, K., Travlos. (2010) (1). “Specificity and variability of practice, and contextual interference in acquisition and transfer of an underhand volleyball serve”. Perceptual and Motor Skills. Vol. 110, Issue, pp: 298-312. Baumgartner and Andrews Jackson. (1991) (2). "Measurement for evaluation in physical education and exercise science; Ted A. The McGraw. Hill companies. Bortoli, L., Robazza, C., Durgon, V., Carra, C. (1992) (3). “Affects of contextual interference on learning technical sports skill s”. Perceptual and motor skills. Vol 75, 555-562. Brady, F. (1998) (4). “A theoretical and empirical review of the contextual interference effect and the learning of motor skill”. Quest, Vol 50, 266-93. Emily, S. Cross, Paul. J. Schmitt, and Scott T.Grafton (2007) (5). “Neural Substrates of contextual interference during Motor learning Support a model of Active Preparation.” Journal of Cognitive Neuroscience, vol.19, no.11, p1854-1871. French, KE. Rink, JE. (1990) (6). “Effects of contextual interference on retention of three volleyball skills”. Perceptual and Motor skills, 71, 179-186. Jones, LL. French, KE. (2007) (8). “Effects of contextual interference on acquisition and retention of three volleyball skills.” Perceptual Mot skills, 105(3pt1):883-90. Laura, L. Jones.,Karen E., French KE, (2006) (9). "The Effects of Contextual Interference on the Acquisition and Retention of Three Volleyball Skills", Exercise Physiology and Motor Behavior Poster Session,final program/paper_8091.htm. Lee, T.D., Magill, R.A. (1983) (10). “The locus of contextual interference in motor skill acquisition” Journal of Experimental psychology. 9. 730-746. Magill, R.A., Hall, KG. (1995) (12). “Variability of practice and contextual interference in motor skill learning”: J Mot Behav, 27(4) 299-309. Magill, R.A., Hall, KG. (1990) (13). “A review of the contextual interference effect in Motor Skill acquisition. Human Movement science. 9, 241-289. Marli-DM., Clark SE. (2004) (14). “High levels of contextual interference enhance handwriting skill acquisition.” J Mot Behav; 36(1):115-26. Menayo, R. Moreno, F J. Sabido, R. Fuentes, J P and Garcia, J A. (2010) (16). “Simultaneous treatment effects in learning four tennis shots in contextual interference conditions” Sports Sciences Faculty, Spain. ruper@unex.es PMS 110(2):661-73. Michalopoulos, Maria. Irene, Dimopoulon. Eleni, Zetou. And Thomas, Kourtessis. (2007) (17). “The effect of contextual interference and Variability of practice on learning volleyball skills in 9TH grand high school”: Inquiries in Sport and Physical education http://www.hape.gr/emag/vol5-1/hape157e.asp. Michalopoulou, Maria. Zetou, Eleni E. GiazitziKaterina, K. Kioumoutzoglou, Efthir. (2007) (18). “contextual interference effects in learning volleyball skills”. Perceptual and Motor skills, vol 104(issue3pt1): pp 995-1004. Schmidt, T.R.A. (1999) (19). "Motor control and learning: Abehavior emphasis." Champaign, IL: Human Kinetics. Sepasi, H., Nourbakhsh, P. Shoostary, Z. (2010) (20). "The Effects of Low and High Contextual Interference on Acquisition, Transfer and Retention of Volleyball Service Skill" Published by the International Journal of Sport and Society. Shea, J.B., Morgan. R.L. (1979) (21). “Contextual interference effects on acquisition retention and transfere of a motor skill.” Journal of Experimental psychology: Human Learning and memory. 5. 179-187. Sheowkis,P.A.,and Asnow, J. (1997) (22). “Is the contextual interference effects generalizable to non-laboratory tasks?” Research Quarterly for exercise and sport (Abstracts of completed research), A-64, 68. Sheowkis, and Putricia, A. (2003) (23). “Memory consolidation and contextual interference effects with computer games.” Perceptual and Motor skills, vol.91, p581. Wright, D.L. Black, C.B. (2004) (24). “Long – term motor programming improvements occur via concatenation of movement sequences during random but not during blocked practice” Journal of motor behavior 36 (1) 39-50. ISNAD Shariati, Amir . "The Effects of Contextual Interference on Learning Volleyball Motor Skills". 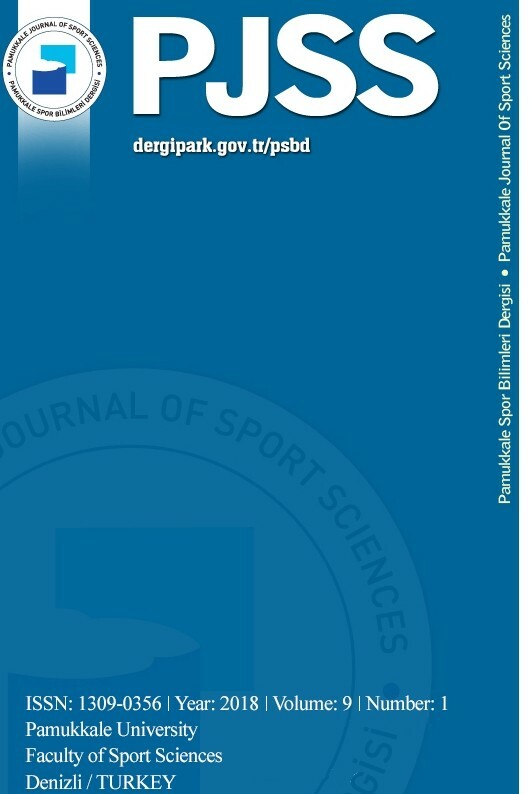 Pamukkale Journal of Sport Sciences 6 / 1 (January 2015): 12-24.